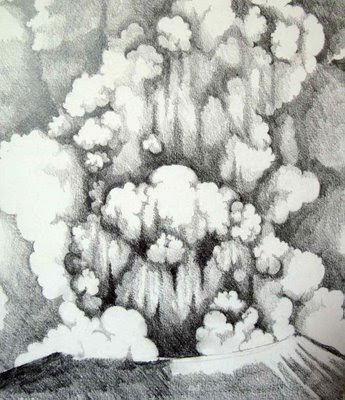 I was busily applying myself to making more clouds the other day when I looked up from the table and saw this volcano drawing I'd done on my noticeboard. 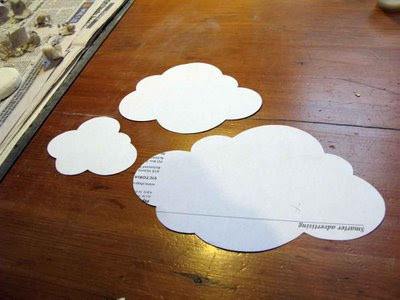 Now I understand why the cloud thing seemed so . . . familiar! 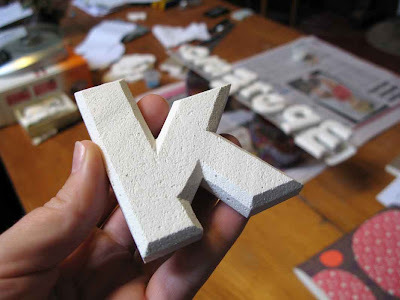 Recently I made my first 'k', as part of a custom order. I like the awkward sort of angularity about this k. I like it so much I think I'll do some words specifically because they've got k's in them. I'm thinking first of 'kiss me' as that's a fairly saleable expression, but then I'd like to do 'knuckle'. ... on an outdated term of abuse. I wanted to use 'Go to the devil.' today. I started making something new this weekend. 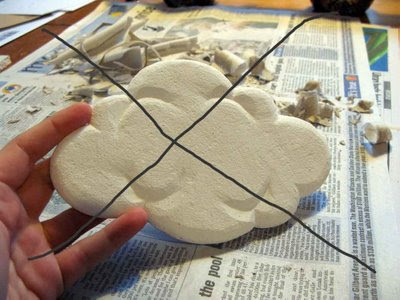 I had in mind a set of puffy white plaster clouds. Initially I thought I was doing okay. Then I went overboard on the finishing. 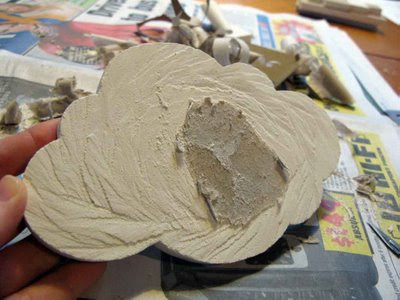 I realised then that I'd really liked the effect of the scalpel marks I made as I was removing the cardboard, and that by getting rid of them and smoothing the surface, the cloud was losing what I felt made it interesting in the first place - but I didn't know it at the time. I think I'll toss out the over-finished one and make a set of three. Templates are ready to go!